By nature, a person needs to hear reinforcement of his admirable traits and good deeds. Praise and compliments create a pleasant feeling in one’s heart, strengthen love between the giver and receiver, and carry over into a reinforced sense of purpose for the future. All people, but especially women, have a deep need to feel loved by their husband and to hear genuine compliments and good words to prove that he is aware of her excellent qualities and is happy with her. This is in keeping with what is written in the Torah, “Your desire will be towards your husband” (Genesis 3:16). 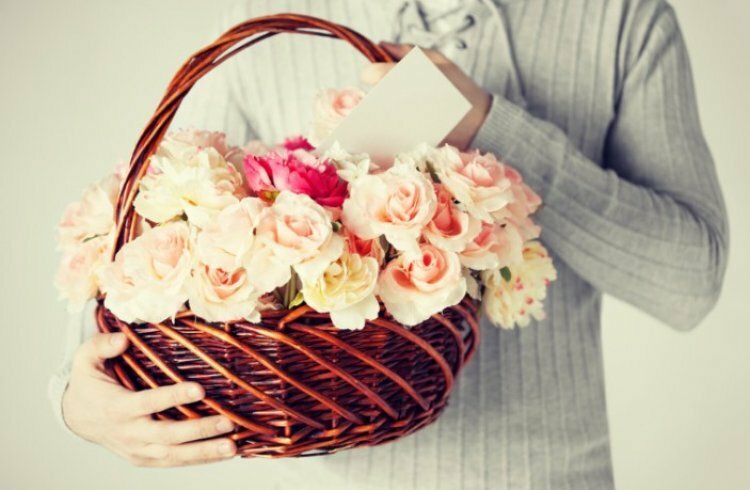 Aside from occasional praise and considerate words like “thanks,” “I appreciate…,” “You were a big help,” “You look very nice,” etc., which are invaluable in building up the wife’s ego and good will, it is recommended that the husband try to be creative and original, surprising her in his praise. Even in good times, when there doesn’t seem to be a special need for appeasement, a nice compliment will always be in place and will create a credit balance as opposed to the debit criticism creates. Indeed, a person who hears a generous dose of compliments will be receptive to criticism, just like in a bank where one deposits or withdraws — but only when there is money in the account. Sometimes, a foreign coin is worth several local coins. Each dollar or pound is worth several shekels. Similarly, one drop of criticism can erase the credit of several compliments. Therefore, the ironclad formula for marital harmony is as follows: one critical remark should be balanced by five compliments. Keeping this in mind will ensure that your account is balanced. The price, or interest, a husband must pay for a negative balance can accumulate and cause him to go bankrupt. We are not exaggerating. If one hurts his wife verbally, he is causing a blow to his own finances, as is stated in the Talmud (Bava Metzia 59a). This also applies in the lesson to the allegory above: a woman who is overly criticized becomes embittered and frustrated and is capable of shaking up the marriage and home to the point of divorce. How many compliments must be given each day? After meeting one another after an absence, even of only a few hours — such as when the husband returns home from work, a woman comes back from shopping, after awakening in the morning, or when they sit down together — they should find something nice to say to one another, a word of appreciation, at least once. One should make this a regular habit when returning home from a brief absence. You don’t feel comfortable with it? Don’t feel like it? Who says you have to say a kind, complimentary word only when you feel like it? Just as almost all mitzvot must be done at their appointed times, like Kiddush, Shabbat, Grace After Meals, putting on tefillin (two small leather boxes that contain verses from the Torah worn by Jewish men over the age of thirteen. They are worn on the head and on one arm and are held in place by leather straps) — whether you want to do them or not — so is the matter of expressing appreciation and gratitude towards one’s spouse a very real obligation, no matter what. One should give a compliment even if it seems to be obvious. The woman cooks a meal and tidies up the house because that is her realm, but it should be appreciated, nonetheless. We find in our sources that one must show gratitude even to inanimate objects (see Rashi, Exodus 7:19). All the more so must we show appreciation for a favor or kindness a person has done for us, even if only once. And many times more than that for ongoing kindnesses that spouses do for one another year after year. Researchers undertook an interesting study in which they examined how much money a husband would have had to pay employees to carry out all the routine tasks his wife had been doing for him and the rest of the family over the years. It reached an astronomical sum. Does this woman not deserve appreciation for all this, at least through a bit of praise and compliments? A husband might think that since she was ultimately doing it for her own good, why should he thank her? Let him think in terms of a salesperson in a store whose job it is to serve the customer and earn his wages. Isn’t it understood that one must thank him for his service regardless? How much more must he thank his wife for her efforts! When we examine the words of our Sages, we see that both scenarios are identical: the guest dined together with the family at a table full of bounty. He did not eat everything there: only one roll, one portion of meat, and one glass of wine. But the good guest appreciates all the work that went into preparing the meal and does not think about the host’s personal interest so as not to detract from the overall kindness. The ungracious guest, on the other hand, sees only what he put into his own mouth and belly, and discounts all the work that went into preparing the sumptuous meal as a whole. The Sages labeled the two approaches as those of a good guest and a bad guest. If the wife says, “I am so tired from my busy day,” don’t suggest that she go to sleep early. She knows that without your advice. When a woman complains about her difficulties in areas where he can’t help her anyway, she really is saying more than that she is exhausted and wants to ask his intelligent advice. She is looking for moral support and appreciation for all she accomplished that day. If these reactions are not forthcoming, she will somehow convey her feelings indirectly, fishing for compliments. It’s a clever husband who knows how to revitalize a tired wife.